It may surprise many modern readers that Plato, writing a history of philosophy in the 4th Century BC, claimed that all early philosophers were “imitators, lovers and disciples of Spartan education.” Furthermore, the seven “wise men” that Plato considered the fathers of philosophy included two Lacedaemonians, one of which was Spartiate: Chilon the Wise. 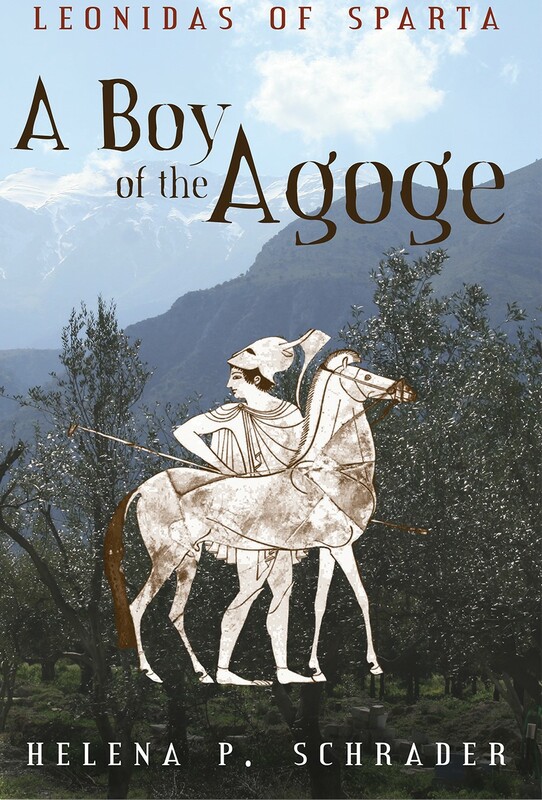 Although in the 5th century BC it had become common to speak about “seven” wise men, whose selection varied from writer to writer so that a total of 17 are actually named on one list or another, Chilon – like Solon of Athens – is always among the seven. Chilon was a Spartiate, but apparently not from a “leading” or royal family. 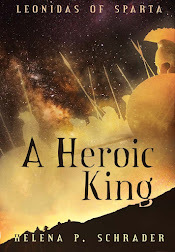 The fact that his descendants married into both royal houses, however, is an indication of just how highly he was regarded by his contemporaries and admired by subsequent generations of Spartans. Particularly significant is that a great-granddaughter of Chilon was selected by a later college of ephors as the bride for the then childless Agiad King Anaxandridas. Anaxandridas had been married for many years to his niece, who appeared to be barren, and the ephors after futilely urging the king to set aside his wife and take a new wife, convinced him to take a second wife. This wife (who is nameless in Herodotus) promptly became pregnant and gave birth to a male child, who later became one of Sparta’s most controversial kings, King Cleomenes I. What is striking about this particular marriage is less that the college of ephors would put forward the name of a girl descended from one of their own predecessors, than that Anaxandridas, who would have been a reigning king at the time Chilon was an ephor, would accept her as his bride. The importance of this fact is best understood when we remember that Chilon is credited by ancient and modern historians with raising the status of the ephorate to a body almost as powerful as the kings. The ephors are not mentioned in the so-called Great Rhetra which allegedly encapsulated Lycurgus’ constitutional reforms, nor do they appear in any of the fragments of Tyrtaeus’ poetry that have survived. Originally, the ephors appear to have been little more than official servants of the kings, charged with executing the kings’ orders. In consequence, the ephors make no particular mark in history prior to the mid-6th century. The first historical act of the ephors was the already mentioned incident in which they forced a reluctant King Anaxandridas to take a second wife. This interference in the personal life of a king was justified by their concern over the future of the Agiad line and indirectly the Spartan Constitution. It was initiated because, according to Herodotus, the ephors were tasked with observing the heavens at regular intervals and interpreting the stars. In other words, this first act of interference could be interpreted as more a religious than a political role, in that the ephors were simply interpreting the Will of the Gods, rather than acting in a constitutionally independent role. In the centuries to follow, however, the ephors increasingly engaged in activities that are unashamedly political. By the late 5th century, the ephors could fine citizens for misdemeanors and bring charges against them for more serious crimes, even those elected to public office. They controlled relations with the perioikoi and helots (at some point initiating the practice of declaring war on the helots annually.) The ephors drafted bills for presentation to the Assembly and set the agenda at Assembly meetings. They could summon the Assembly and presided at it. The ephors decided based on their estimate of the comparative volume of the shouted “ayes” and “nays,” whether a motion had passed, and they enforced the decisions taken at Assembly. The ephors, furthermore, had diplomatic and military roles as well as political and administrative ones. Not only did they receive and dispatch ambassadors, they also named – and recalled – commanders, such as Pausanias and Lysander. They appointed the three hippagretai, who then each selected one hundred men from among the 21 – 30 year olds to form the royal body guard. After the Assembly voted for war, it was the ephors, who mobilized the troops, and two ephors accompanied whichever king commanded the Spartan army on campaign. The latter was clearly intended as a check on the behavior of the kings. Although the kings commanded absolute obedience while the Spartan army was outside of Lacedaemon, the ephors were expected to keep an eye on them and exercise their right to bring charges against the kings on their return. If a king was charged with a capital offense, the ephors sat in judgment of him along with the Gerousia. 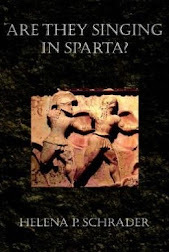 But returning to Chilon himself, Conrad Stibbe in his excellent work on archaic Sparta Das Andere Sparta (Mainz: 1996) credits Chilon with conceiving of the Peloponnesian League. As he points up, throughout Sparta’s previous history, complete subjugation of a conquered people followed successful Spartan conquests. 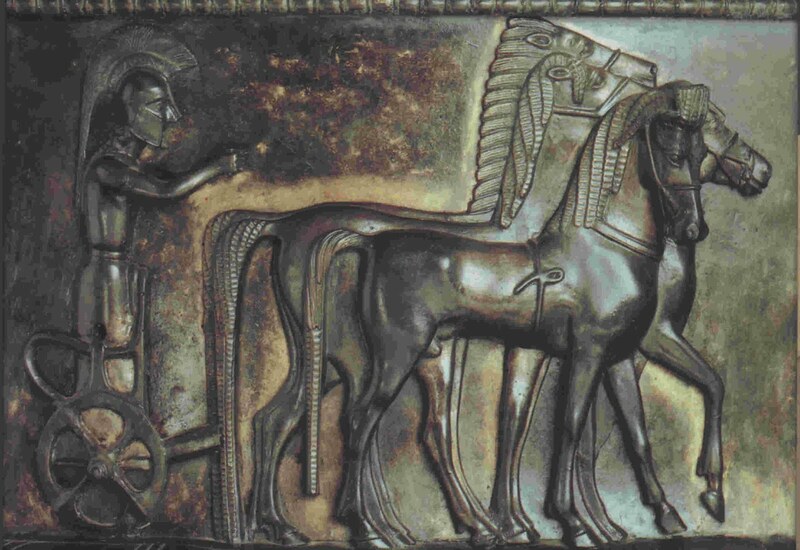 This was true for the conquest of the heartland of Lacedaemon, the Eurotas Valley in the 9th century and for the conquest of Messenia in the second half of the 7th century. Yet after a bitter war with Tegea during the first half of the 6th century BC, in which Sparta suffered at least one humiliating defeat resulting in the enslavement of Spartiate hoplites, Sparta chose a different path. Following a decisive victory over Tegea under the leadership of King Anaxandridas, Sparta made the revolutionary decision not to subjugate and occupy Tegea, but rather to form a defensive alliance with its defeated foe. This course was unprecedented in Greek history at the time. 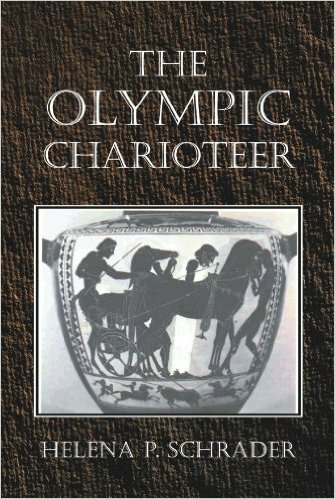 (Note: My novel The Olympic Charioteer deals with this period of Spartan history.) 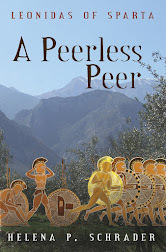 Furthermore, the alliance with Tegea was not a one-off event, but rather signaled a completely new Spartan foreign policy that was pursued throughout the rest of the century. 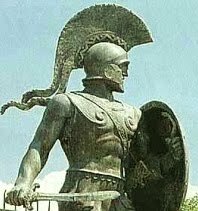 Under both Anaxandridas and his sons, Sparta built up her power and prestige not through direct conquest but through the formation of a system of alliances, first on the Peloponnese (under Anaxandridas and Cleomenes) and with all of Hellas under Leonidas. Interestingly, Chilon is described in Herodotus as a seer and Chilon’s first act of extraordinary wisdom was advice that, had it been followed, would have spared Athens the tyranny of Peisistratos in the first place. 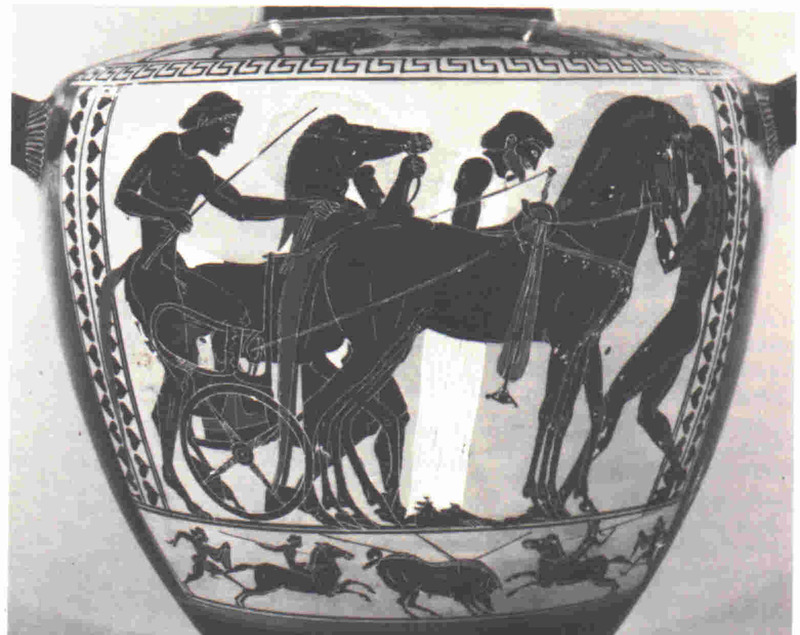 Chilon’s wisdom was thus associated with Sparta’s opposition to tyranny. According to legend, when the father of Peisistratos, Hippokrates, was in Olympia, he received a sign from the Gods. A cauldron full of sacrificial meat he had donated to the gods boiled over without a fire being lit under it. Although Hippokrates recognized that this could only be a message from the gods, he could not interpret it, and turned to Chilon for advice. Chilon told him not to marry and if he was already married to disown any son he already had. Likewise with respect to women, Chilon set revolutionary standards of behavior that were uniquely Spartan. While the Athenian philosopher Socrates showed utter contempt the intellect of his wife, refusing to even take leave of her after he was condemned to death, Chilon was depicted on his grave sitting side-by-side with his wife. Even more impressive, one of his daughters, Chilonis, was recognized by name as a disciple of Pythagoras. In short, while the Athenians contended that women were permanent children with brains incapable of developing rational thought,[i] Sparta’s greatest philosopher encouraged his daughter to study under the greatest of his contemporaries. Chilon plays a minor -- but important -- role in my novel: The Olympic Charioteer.